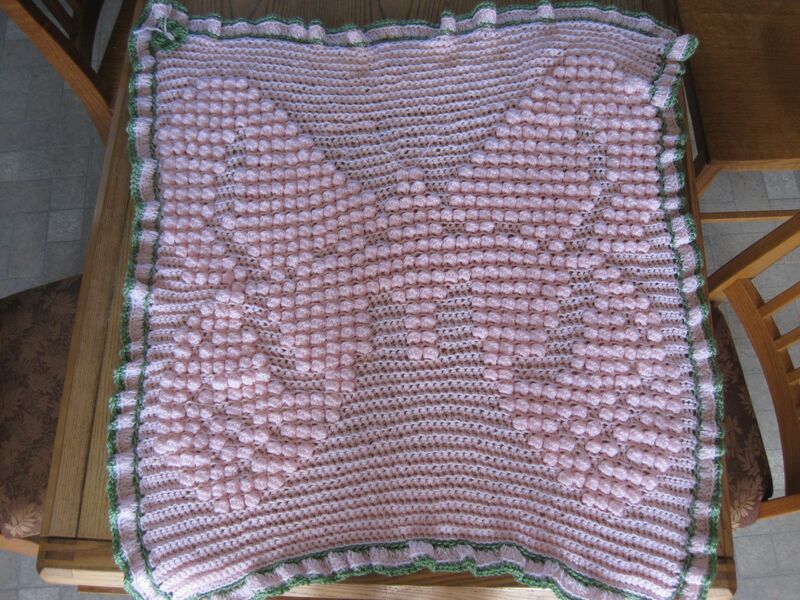 I made this afghan for the daughter of a close friend who loves butterflies. 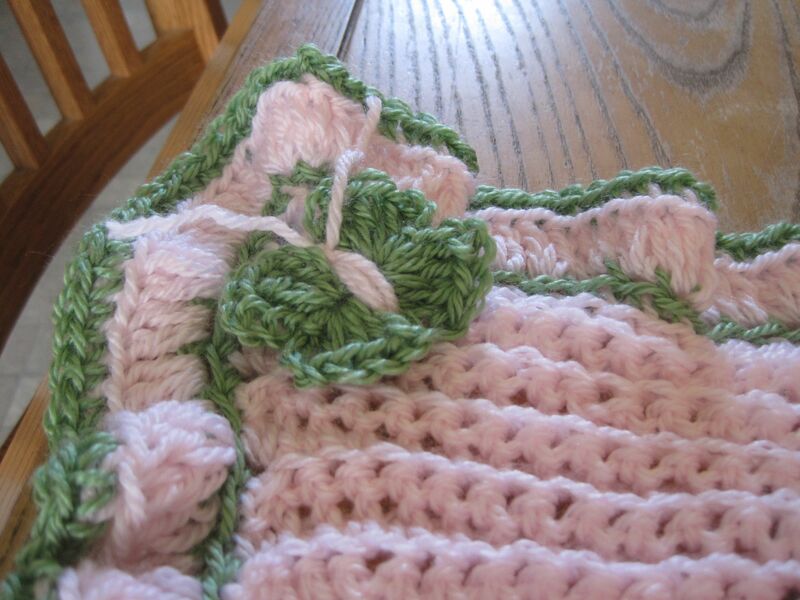 My go-to pattern for baby afghans has an angel design (see here). It is quite simple and easy to do. 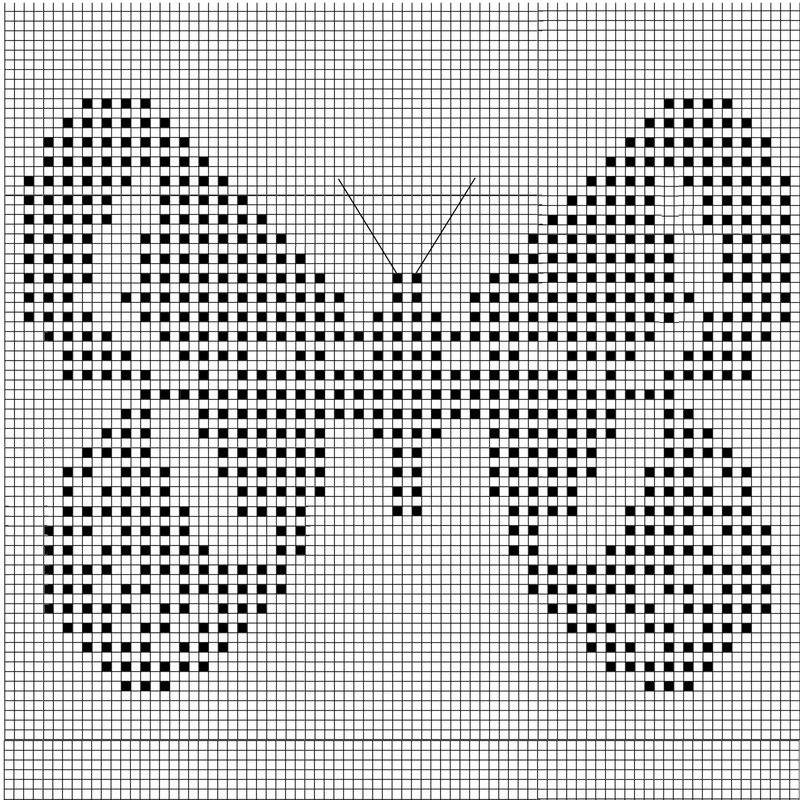 However, I wanted to try something new this time and so, rather than the angel, I designed my own butterfly pattern. The original pattern has the entire blanket in the same colour. I tend to like using a different colour in the edging. Just for fun, I also included this little butterfly in the corner. Above is my butterfly design. If you’d like to try it yourself you can basically just follow the original pattern using this chart rather than theirs. This one is also slightly larger, so you will need to Ch 80 to begin (not 76). I used a scrap piece of yarn for the antennae. I basically just had to tie/knot it in. It would probably be different the next time I did it, so I will leave that to your creativity to figure out.